This week we have all three Nintendo consoles catered for, including a long awaited platformer on the 3DS Virtual Console, the latest from Renegade Kid and much more. Let's get right to it. 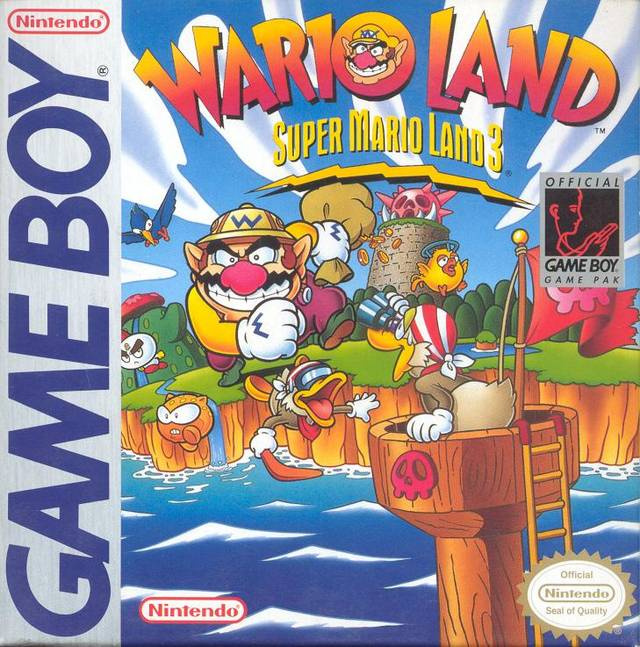 Wario Land: Super Mario Land 3 (Game Boy, Nintendo, $3.99) — This has no doubt been on a number of North American wish lists since it landed in Europe, giving Wario a starring role on Game Boy in one of the system's most creative and accomplished platformers. If you want to read all about it, check out our Wario Land: Super Mario Land 3 review. Mole Mania (Game Boy, Nintendo, $2.99) — This puzzle title — produced by Shigeru Miyamoto — unsurprising involves plenty of tunnelling, while above-ground you strategically blast black balls to create these tunnels. We expect cutesy puzzler fun over its 175 challenges, but we'll see whether it delivers in our upcoming review. Planet Crashers (Renegade Kid, $9.99) — Originally planned as a full retail release, this adventure RPG from Renegade Kid promises to include a large universe to explore, plenty of dungeons and customisable characters. As one of the eShop's pricier downloads, we'll be sure to let you know whether we think it's worth the investment soon. Dot Runner: Complete Edition (INTENSE CO., Ltd, $4.99) — This title makes it across from Japan where it was called Dot Eater New Picdun. It looks like a frantic chase to grab as many orbs as possible within a time limit, with the touch screen providing a top-down perspective and the top screen using the stereoscopic 3D for a first-person view. We'll let you know whether it's worth a punt in our review. Colors! 3D (Reduced to $3.99 from 9am PT on 27th July to 9pm PT on 29th July) — This powerful painting app provides the tools to produce art in glorious 3D, with the option to share with others through the online gallery. We awarded it a prized 9/10 in our Colors! 3D review, and some of our staff will be sharing their creations in a feature this weekend. Decathlon 2012 (Cinemax, 500pts) — With the Olympics about to kick off in London, this title promises to bring the tough decathlon competition — consisting of ten events — to DSi with inevitable stylus controls. It may tap into nostalgia for athletics games of the past, but we'll see whether it's worthy of a medal later this week. 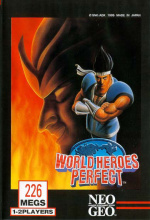 World Heroes Perfect (D4 Enterprise, 900pts) — It's a Neo Geo fighting game, and we all know that there's plenty of those on the Wii Virtual Console. This one is the fourth instalment in the series, and features 16 characters from 'across history' ready to beat the ever-living snot out of each other. We'll get brawling and tell you what we think in our review. Also, don't forget that Super Mario Bros. is reduced to $3.99 until 1st August on the 3DS eShop, as part of a month of Mario discounts. So, what will you be downloading this week? Let us know in our Facebook poll. Kid Icarus last week (which I think would have been enjoying much more if it would have came out back before Uprising came out) and Wario Land this week. Two good VC games in 2 weeks! Good to see americans finally getting wario land. You've all waited long enough! I'm definitely getting Wario Land, finally! Great deal on Colors! 3D. I might buy this along with Mole Mania and Wario Land! Wow, what a week. The eShop really has made the summer something great. So good to see it really jumping into gear. Week after week they've absolutely delivered, and on multiple fronts. It's a nice time to own a 3DS. P.S. I'd forgotten just how much better KI:oMaM was than the original. Such a thoroughly enjoyable game from the start. I've never played Wario Land before (I know, right? ), so this should be an awesome new adventure. Can't wait. 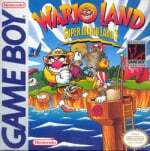 I'm guaranteed passing up Wario Land. I do like Wario, but this is one game I played and did not like. Colors! 3D, however, I will get. Me want! Definitely getting Mole Mania... and possibly Wario Land. I was considering Planet Crashers but a reviewer already gave it a 1 star rating in the e-shop, so I'll likely not be taking the plunge on that one. Also might pick up Tumble Pop. Warioland and Planet Crahsers for me. First I just need to find the money to buy them. Damn! What an update I think I will be getting Wario Land or Mole Maina, I can't decide! So whats the surpise? you guys said there would be one tomorrow (today) and it wouldn't be a game. I'm going to need another points card soon. Rawk_Hawk, you owe me a beer for the "loves me sum..." jynx! Actually.. I think I owe you one! LOL! World Heroes Perfect ! HELL YEAH !! Curses, I forgot to call in sick this morning. Finally, Wario Land!! Definitely getting it today!! Look like a lot of good 3DS stuff here. Definitely will have to pick up at least one thing at some point. Gotta get me Wario land, Planet Crashers and possibly Colors 3D. Also When is that ATV game from renegade kid supposed to come out on eshop. It'll be cool if it came with online multiplayer or download play. Meh. Already played wario land on the original game boy, have colors 3d, smb on wiiware. Probably only person who doesn't care for this week! I'm looking forward to that Colors 3D feature. Wow, best update in a long time. Another piece of software I bought at full price goes on sale. I'm starting to feel like a sucker. Definitely Mole Mania and SML3, but I'll keep my eye on Dot Runner too. I've been tempted to download Colors! 3D for quite some time now, but now that there's a sale, I don't really have an excuse anymore. This, along with Mole Mania and Wario Land add up to an amazing week of downloads! Kind of disappointing that Nintendo is only giving $1 off on the Mario games, on other systems (ipad for example) large developers are often marking down $10 games to 99 cents. Man, I wish I hadn't spent my money already. I'm really disappointed I can't get Colors! 3D on sale. @SteveW And that kind of insane pricing is what drives down the value of good games, so that everyone expects to pay a dollar or two. It's why people scoff at an eShop game that's priced at 7.99 and says, "That's so expensive!" When in reality, that's two Starbucks mochachinos. I'm glad Nintendo is doing sales, but I'm more glad they're being very careful about not jumping into this crazy "race to the bottom" that makes the App Store such a glut of free-to-play games with microtransactions instead of, you know, real full-featured games worth your money. @LittleIrves Amen! Preach it, brother. Fantastic week. I'm going to pick up Colors 3D and Wario Land. You got another shelf, NL, featuring Thomas's big mii head! Wooooot Greed is good going to download Warioland asap. Been wanting to play that game for awhile now since I never got the chance when it first came out. A week of awesomeness, also World Heroes Perfect, one of those rare gem you just can't find nowadays. This is perfect. Games for all services. Why they skip World Heroes 2 and 2 Jet? Wow, it's been night and day between the updates before the summer and what we've been getting the past few weeks. I'm considering Colors 3D, although I don't have much artistic ability. Wario Land is a definite must buy! As for Planet Crashers... I best wait for reviews of it before making a $10 investment. I do love Renegade Kid, but $10 is quite a lot for an eShop game. I love RPGs but I am going to wait to hear more about this one. I need to update my profile picture with the all-new bearded Mii. Colors 3D is a fantastic deal! I hope everyone who doesn't have it yet is taking advantage of it. Planet Crashers interests me, but I'm going to have to wait for a review to spend that much right now, especially knowing Denpa Ningen is coming in the future. Is it multiplayer? Is it active or turn-based combat? It seems like the sort of game that should be a full cart with streetpass etc. It also makes me think it'd be cool if Costume Quest (Xbox) was a DS game. I'll get Wario Land for sure. Maybe Mole Mania as well, but I'll have to wait for a review. Planet Crashers is a WRPG, so that's a no go for me (never met a WRPG I liked). Dot Runner seems more Pac-Man than first person RPG (which is what I thought it was), so I'll probably just stick with Pac-Man. Already have Colors! 3D, and SMB. Hahahaha...oh, what a glorious d/l set this week. Something for almost every platform. 2 3DS VC titles that I probably will end up owning, a Wii VC, a sale on an app I've been tempted to d/l, & even a sale on SMB(although, it's just $! off, it's still a price cut!). I'll probably get SML3:WL, & Colors3D, &/or SMB, just b/c it's on sale! I might break my no-games-I've-owned-in-the-past-or-still-own rule for SMB, since it's dropped by a dollar. Awesome week! Glad I (habitually) space out my eShop money for purchases down the line! This week was pleasant surprises, although I obviously knew about SML3:WL, & MM. Edit: Also, congrats NLife on the returning shelf! Yes, now people can shut up about Wario Land. And I'm totally getting Colors! 3D this weekend. @Mickeymac oh we want wario land 2 NINTENDO....get ready to listen to that. Saving my pocket cash for NSMB2. Yes Wario!!! Now all I need is Kirby's Dreamland 2. Yes, now people can shut up about Wario Land. Next they won't shut up about Shantae. Again. I wanna see the reviews for both eShop games before I say anything. I have the visual art skills of a turtle, so this sale is a no for me. I hope DRW/Either Pinball Game/Ketzal's Corridors go on sale. I'm definitely getting myself Wario Land and Mole Mania, and possibly Colors! 3D too. Mole Mania is wonderful. I bought it this morning and am having a great time! I hope a lot of people buy this one. Great week... nothing I'm interested in or haven't played, but a good week I'd say. @Flowerlark, I can't believe Planet Crashers has already earned itself a 1 star rating. That's not very ensuring. I was very interested in Planet Crashers, but now I'm not as confident that Renegade Kid has lived up to it's name this time. Wario Land is a must, and Mole Mania seems like a quality Gameboy classic. I was really hoping Link's Awakening DX was going to be the Game of the Week. Already have Mario and Colors. I want to get Wario and Mole Mania in the future though. Also want to get Picdun and Planet Crashers. I also got mole mania,its nice. Ah, the days when Nintendo took risks with their platformers. Colors 3D is the last game of the weekend. After the mario sales, it will be NO MORE. Would be the perfect time to download that Colors 3D app, I can see myself really sucked in for hours. Lots of good stuff this week. I will definitely be picking up Wario Land, Mole Mania and Colors 3D. I will probably be getting Dot Runner as well. Oh and I almost forgot about World Heroes Perfect. I never played it before but I am anxious to give it a go. Is it just me, or is this perhaps the best week the eshop has ever had? Wario Land (Finally), a gem by Miyamoto, an RPG by Renegade Kid, a sequel to PicDun, Super Mario Bros 20% off, and the high scoring Colors 3D for almost half off! The only thing that could have made this better would have been a demo for one of Nintendo's upcoming games. Where did you hear that? Nintendo sounds like they'll be keeping it going (and hopefully they do). @TrueWiiMaster their twitter page. They are pretty much saying that it will be the last weekend sale.